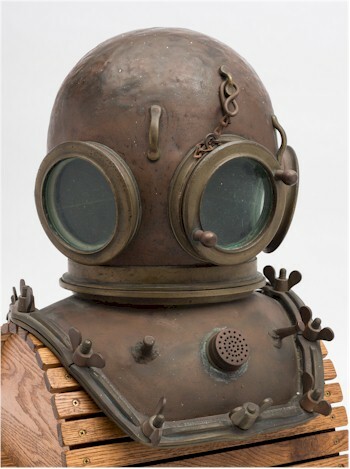 A diving helment from the Tony and Yvonne Pardoe Collection, which will be auctioned in June 2016. We have used the Internet and social media to generate considerable interest from a global audience in this niche collection months before it is due to be sold. As the largest auctioneers in the South West of England, Bearnes Hampton & Littlewood have continued to develop the range of services offered to our clients including the effective use of the Internet and live bidding facilities. Many people doubted the practicalities and demand for Internet bidding, perhaps in the same way that the 'Old Guard' scoffed their noses when the first auction house dared sell anything later than 1840 as antique. After a few stalled start-ups in the late 1980s and early 1990s, the real development has occurred over the past ten years with the expansion of the Internet and the rise of more affordable and faster home computers. The fate of the auctioneer has not fallen in the digital age as many predicted but in some cases, such as Bearnes Hampton & Littlewood, the merging of old and new has proven to be very beneficial. By adjusting cataloguing styles and photographing every lot to be illustrated online, the result has seen prices rise for many pieces within our fine art auctions and specialist sales, such as our maritime auctions, sporting and collectors sale and rare book auctions. As well as this, the Internet has also increased the number of items being consigned locally and from further afield. 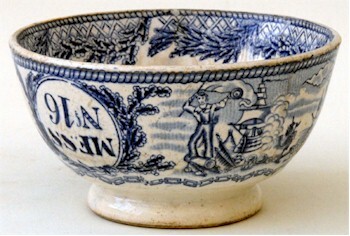 A Bovey Tracey Blue and White Mess Bowl, which sold for a record £3,000 in 2010. It has been over six years since we sold a Bovey Tracey Pottery Blue and White mess bowl for a record £3,000 and yet I still receive emails and phone calls from people who have found one in a cupboard somewhere. In our May 2015 Sporting and Collectors Auction, a very rare and early prototype air pistol (SC21/145) sold for £1,600. 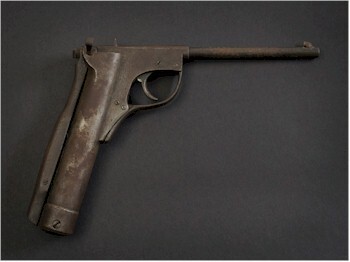 A news article posted on our website (Lincoln Jefferies .177 Air Pistol) before the sale announcing the find soon set collectors talking on several forums in anticipation. I don't know how they'll react if I tell them I had a phone call from another gentleman who has one exactly the same (having seen it it's also in better condition!) By carefully marketing the piece, it resulted in both a good sale and another potential vendor. A very rare, early 20th Century .177 Lincoln Jeffries Air Pistol (SC21/145), which we sold for £1,600 after successfully marketing it online. As the digital world gets smaller and faster, Bearnes Hampton & Littlewood have been developing new ideas and auction practices to reach a worldwide audience from the saleroom complex in Exeter. We were one of the first auction houses to start blogging with Fine Art Bloggers and we use social media extensively with a large global audience following @BHandL and @BHL_Valuer on Twitter. We have also recently just launched our own Fine Art YouTube TV Channel, which now features a small but growing number of videos promoting lots in our sales. 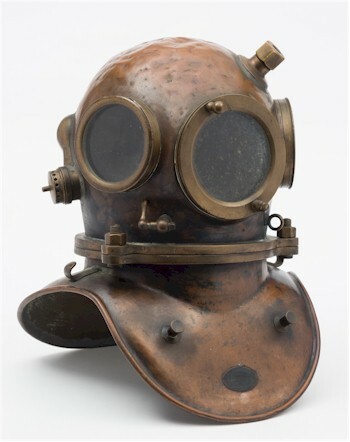 An early 12 bolt square corselet diving helmet by CE Heinke & Co Ltd, which we will also be auctioning in June 2016. In fact, the forthcoming auction of the Tony and Yvonne Pardoe Collection of diving helmets and equipment (#Pardoe on Twitter) is a perfect example of how we are reaching buyers on a world wide scale for niche sales and single owner collections. With over 150 diving helmets from manufacturers from around the world, I have already had dozens of emails requesting further information and catalogue requests months in advance of the sale date. Even using social media such as Twitter, we have reached international buyers and collectors for diving helmets, a niche market that standard advertising would not have done. So far from being a nail in the coffin for auctioneers, the Internet has been embraced by Bearnes Hampton & Littlewood as an effective tool to hone and develop years of traditional skill and knowledge for the 21st century and beyond. Digital Age Auctioneers was written on Friday, 12th February 2016.